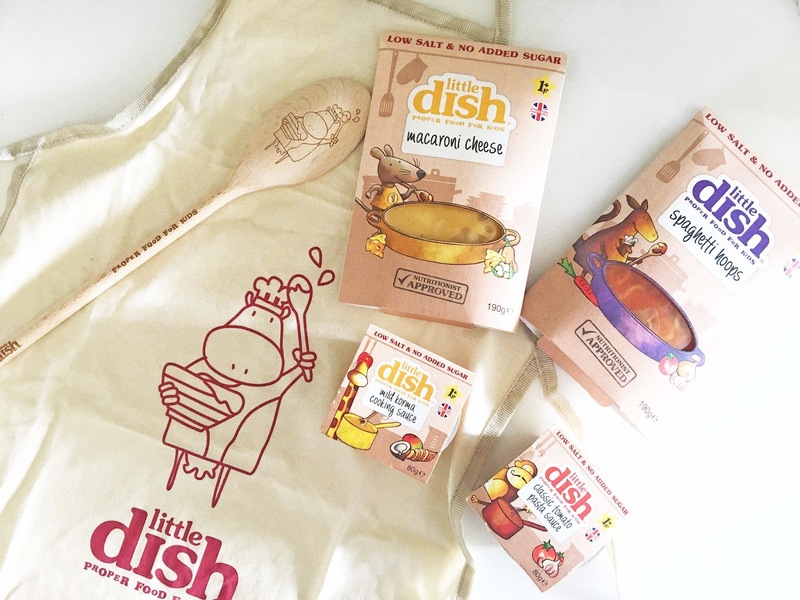 We love Little Dish over here, their meals are some of my favourite to give the boys when I'm not serving up a home cooked meal as honestly, as a working family we just don't have oodles of time each evening to cook. Plus, my boys both have serious appetites and they don't want to hang around for too long with a rumbly tummy. It's about this point when Little Dish save the day. We've loved Little Dish since the very beginning, we worked with them when they initially started out and they've been staples in our kitchen cupboard since that very day. Convenient, delicious and at least one of their five a day - I can't really ask for much more. It was as if Little Dish read my mind this weekend, I was heading out 'out out', for the first time in... I honestly can't recollect and I was a little worried what the boys would eat. John is quite happy for me to admit, that he is not Gordon Ramsey, I could probably count on one hand the times he has cooked a meal for me in our eight years, something I'm not complaining about as I enjoy cooking. But on occasions like this it definitely is a little bit of a thorn in my side, I want my boys to eat well as do all parents I'm sure. Patrick is far too young for a Mcdonalds run and I was going to be out for both lunch and tea - what on earth would he feed them? With those thoughts, the doorbell rang on Friday and a lovely postman delivered the brand new range of Little Dishes classic collection and our saving grace. With baked beans, mac and cheese and tomato soup being some of the selection, it looks fantastic especially as I immediately noticed how much better these were for the boys than the standard tins you snap up in Asda. Unlike the latter, they're all incredibly low in salt, have no additives or sweeteners and some of the packs make up two of their five a day. The best part - the price! These packs are huge, double the size of most standard pouches and yet they're almost half the price. The boys devoured some Mac and Cheese that night, served up with beans and broccoli as you can imagine it was clean plates all round with John having a little whine that he didn't get to have some himself. I think what pricked my interest most, was the Korma Curry sauce for children, we love our curries, we really really do but I also love spice so it's something we tend to save just for me and John and on such curry evenings, I'll whip up something totally different for the boys. Now however, they can fully relish our curry nights by having their own - I chucked in some chicken and vegetables served with rice and naan bread and these boys were in their element. The Little Dish sauce was the perfect base to their own meal, which as I say is perfect for working parents, sometimes if we're home late I don't want to spend too long over a stove but in the same respect I don't want to shove something in the oven for them either, Little Dish are my happy medium. It fills their little tums and doesn't play on my Mum guilt - win win. Oooo we definitely need to try these in our house. I think my little man would love them! Oh the just look like the perfect idea! One I am sure most children would enjoy! Little dishes are life savers and are the best tasting for the kids. Leanora just laps it up. Little tried one of their dishes last week, really impressed with them! Will look out for the curry one - sounds right up our street.